Today you're in for lots of inspiration from Gossamer Blue and Elle's Studio. 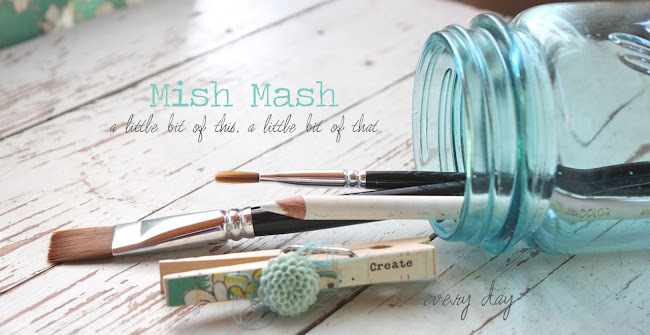 The Gossamer Blue February kits are full of Elle's Studio products so the Design Team is joining in on a fun blog hop. You'll find the complete list of participants at the end of my post. Thanks for stopping by today! 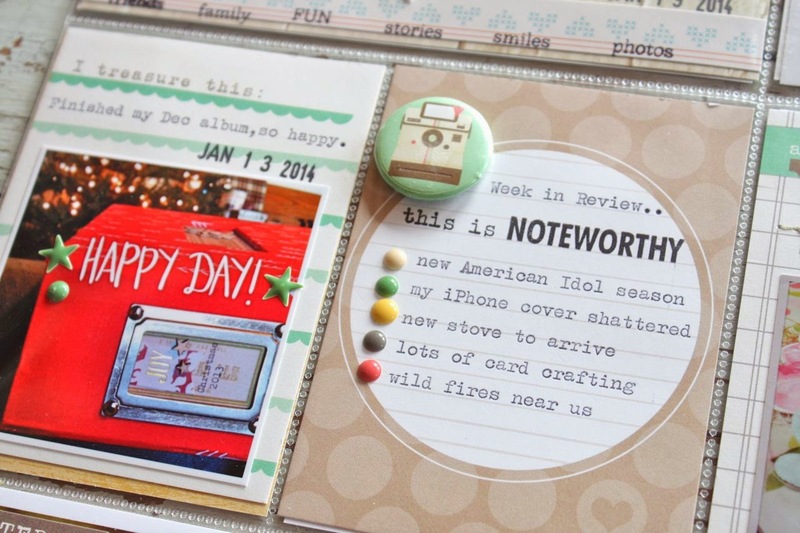 Today I'm sharing my Project Life 2014 Week 3 layout. It was easy to fill my inserts with Elle's Studio products this week. 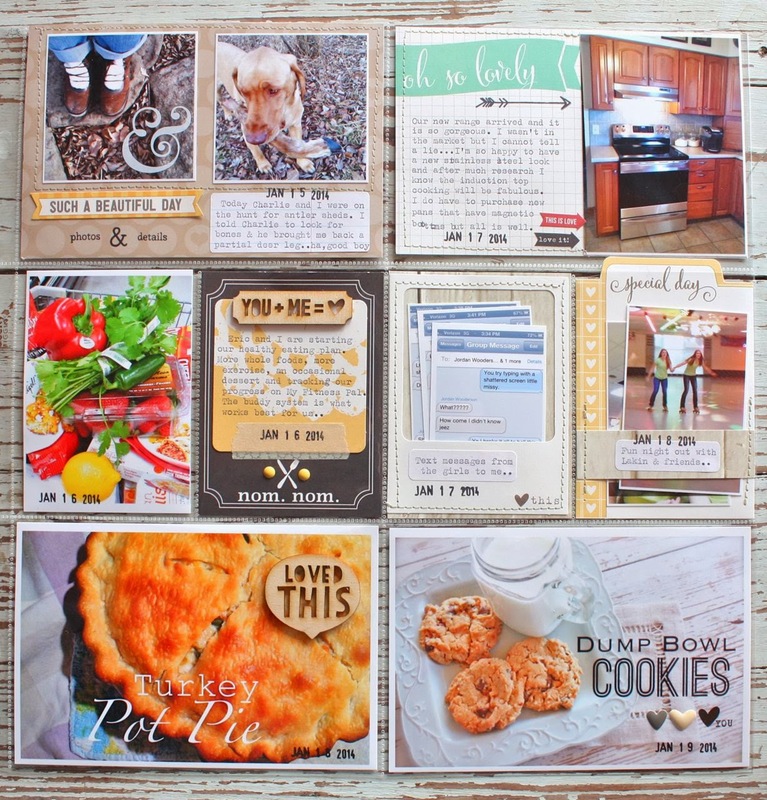 Elle has some amazing, exclusive products and they work beautifully with the pocket style scrapbooking. This is my left page...I'm loving the neutral color palette for this week + the fun pops of the buttery yellow from Elle's Studio products. At this time of year I'm so ready to be working with fresh, new products. I love the holidays but come January, I need a little break from red and green. Elle's products are a perfect match with the Gossamer Blue kits. Even though you'll see a lot of pinks and Valentine's items this month, I was able to use soft colors that worked well with my photos that are just everyday photos. One of my favorite Elle's Studio products from the kits was this whitewash, wood 12 x 12 that I trimmed down for my inserts. I also used a notched flag die cut and then notched another tag to create some accents for my main, dated insert. The wood veneers are always a fun accent. I paired this one with some letter stickers to spell out our sweet kitty's name. 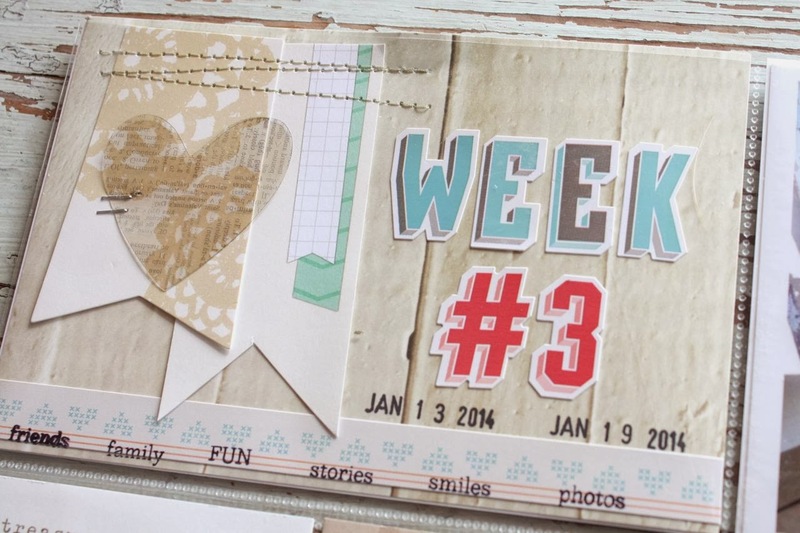 Here I used a die cut paired with Gossamer Blue's February stamps + a Notebook Paper Label with typed journaling. The rub on is from one of this month's kits, I love using them directly on photos. 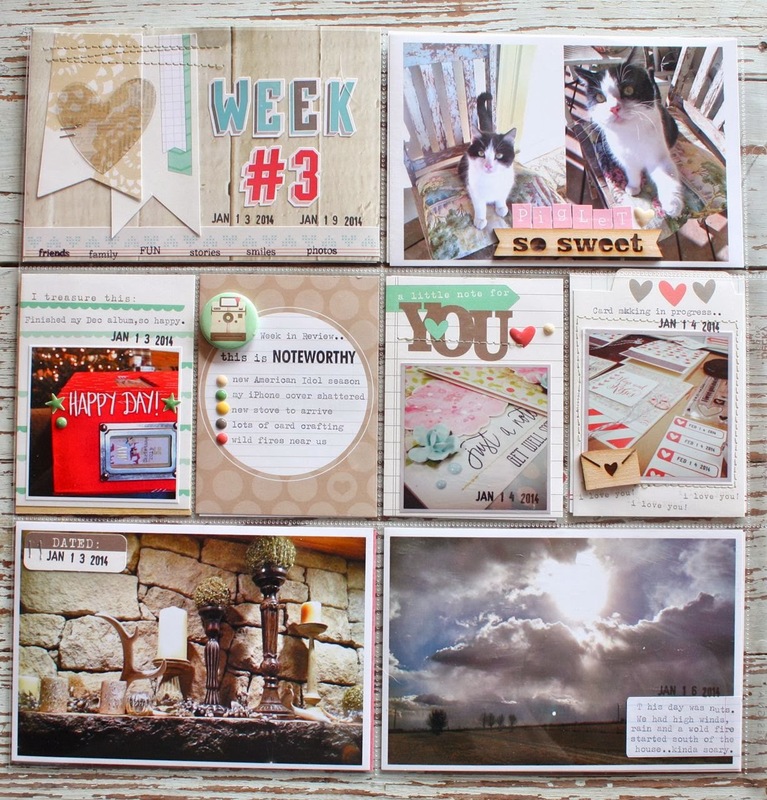 Elle's 3 x 4 journaling cards are a favorite for my Project Life pages. I added typed journaling, Elle's Studio stamps and some stickers. I've been taking more foodie photos and they're so much fun to add to my weekly Project Life spreads. I used the Phonto app for the journaling. 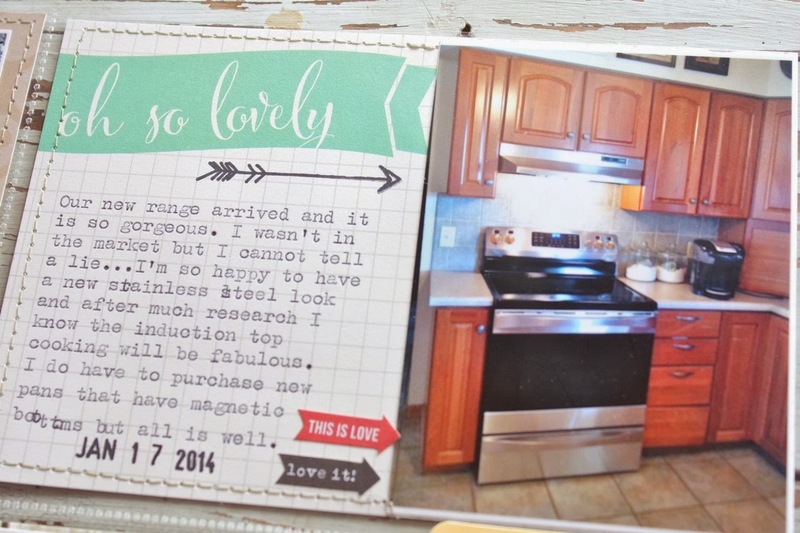 I love adding embellishments like this Elle's Studio wood veneer piece to some blank areas of the photos. I did the same thing here but added an Elle's Studio stamp and some enamel heart stickers. Just the right accents. A fun twist on a week in review card. 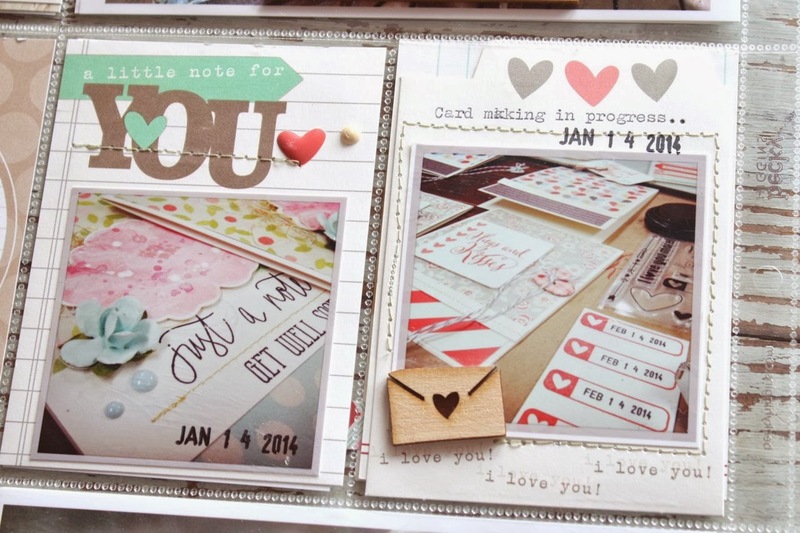 I used Gossamer Blue kit items like the flair, enamel pieces and journaling cards. 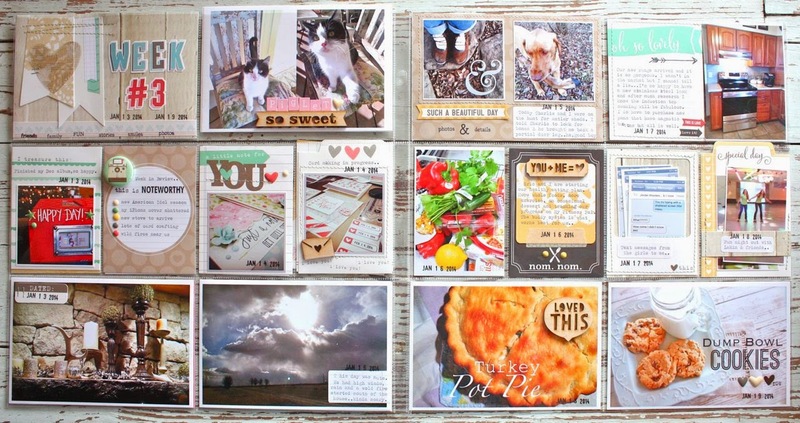 Here's a sweet pairing of two Elle's Studio journaling cards. They worked perfectly for some card making Instagrams & the wood veneer envelope couldn't have been better suited here. 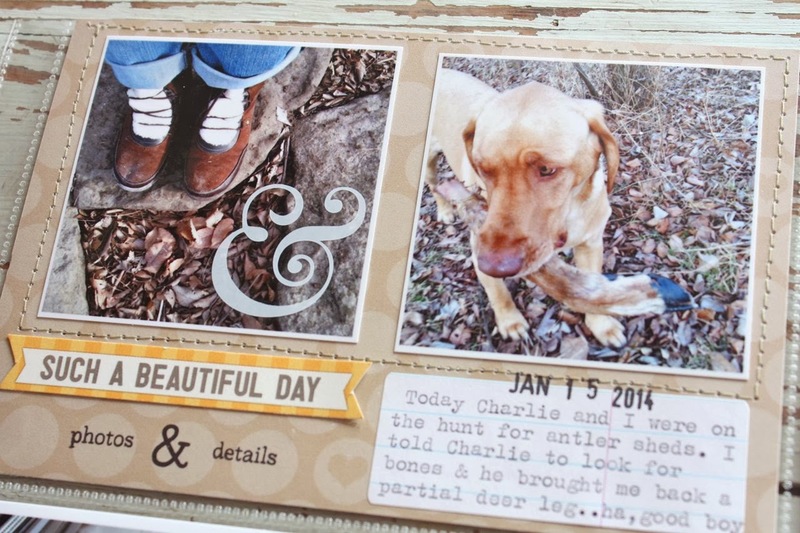 On the chalkboard Gossamer Blue journaling card I added an Elle's Studio die cut that I typed my journaling on. I topped off this card with a wood veneer piece, Washi tape and enamel dots. Some favorites this week were these two pockets I created using Elle's Studio pieces. On the left I stitched a frame onto a piece of the wood patterned paper. I printed some text messages at a small size then tucked them into the newly created pocket. On the right I cut a 4 x 6 journaling card in half then stitched on a piece of patterned paper to create a band where I could slip in 2 small photos. So fun to mix things up like this. 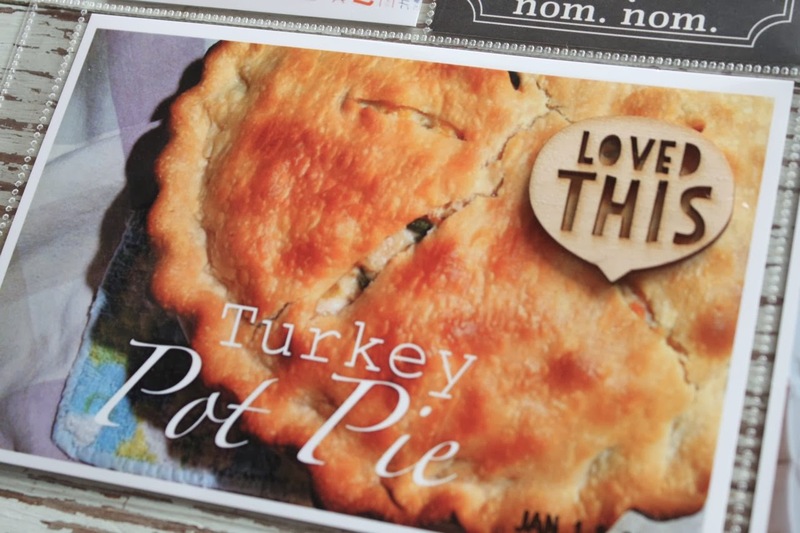 I hoped you enjoy taking a look at this week's Project Life. Thanks for stopping by. 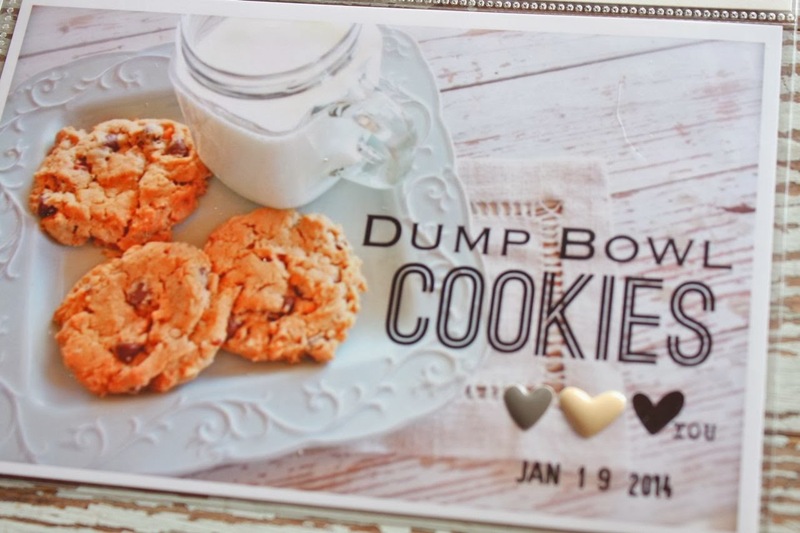 Here is the awesome blog hop list. Lots and lots of inspiration today....settle in for some good blogging time. Be sure to stop by the Elle's Studio blog and the Gossamer Blue blog for some great prizes. 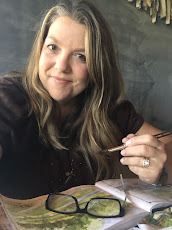 To enter for the drawings, leave a comment on both blogs sharing what inspired you along the blog hop. Great PL page!!! Love all the fun details! Thanks for sharing your PL and about two blogs for prizes. LOVE your PL!!! You always do such beautiful work on them. awesome PL!! Loving that flair and wood veneer and I LOVE that you put a bunch of screen shots of your texting conversations in your PL layout! I'm totally lifting that idea!! Thanks for the inspiration! I L-O-V-E all of the details in this spread. Just amazing! Love your pages and your details! Lots of inspiration here. Great idea about the foodie pics! 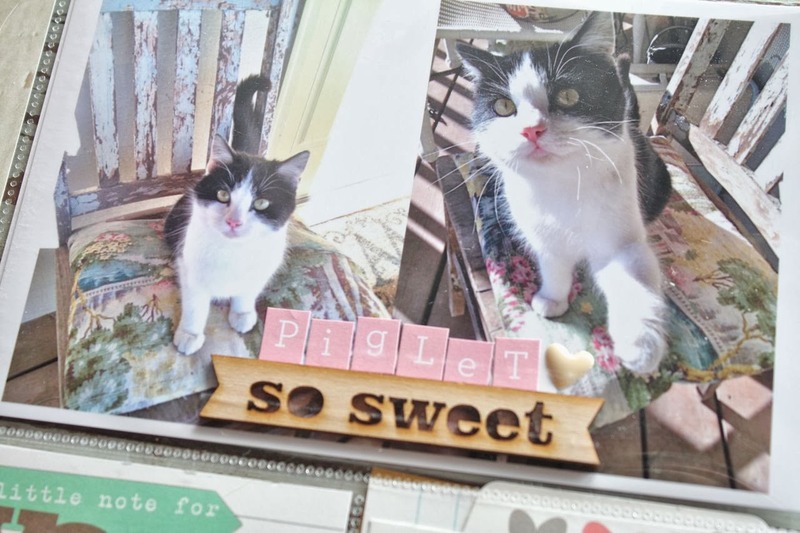 I love all the photos/detailing on your PL pages and cards! thank you. Where do I start! Overall ... an amazing project life layout. 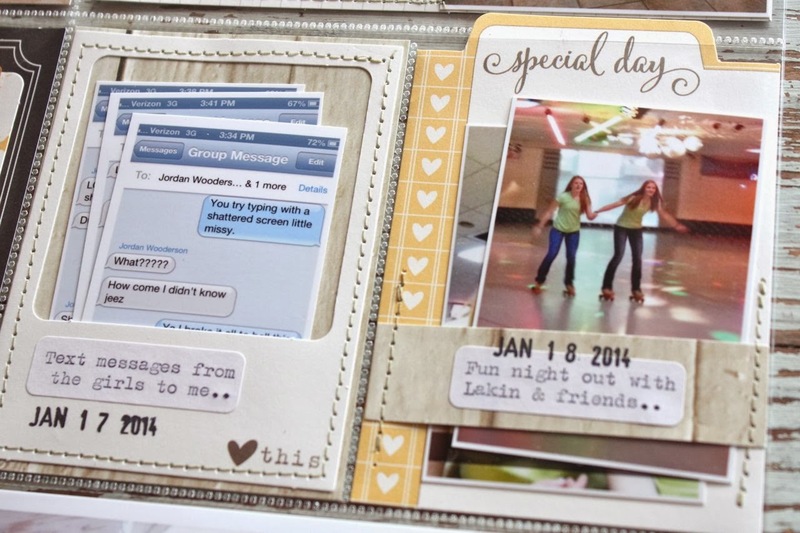 Specifically, love the Noteworthy card and journalling, adore the text message screen shots tucked in the polaroid pocket and so cute how you addes some epoxy hearts on top of your photo. 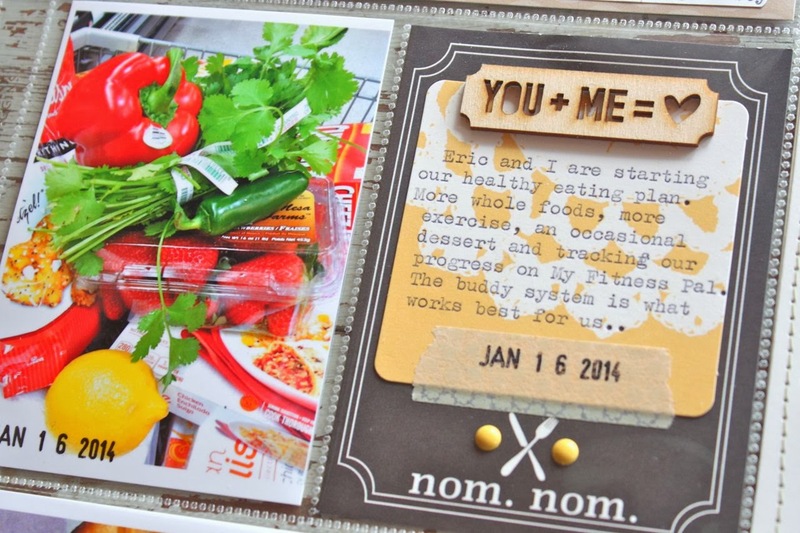 Thanks for sharing - such an inspiring layout. So many ideas to try on my own layouts. great layout!!! so much and just beautiful work!! thanks for sharing.